Community banks should be educating their board of directors and staff about the differences between the new current expected credit loss (CECL) standard and the incurred loss model, which it replaces, regulators told banks on a July 30 Ask the Fed CECL call. At minimum, banks should determine the steps and timing needed for implementation, what method they will use to estimate their allowance, and what impact CECL will have on regulatory capital. Expect examiners to ask about how your bank is getting ready for CECL. Since CECL will require banks to have recognize credit losses over the life of a life, banks will need internal loss data to cover that history. If your bank doesn’t have that kind of data, you’ll need “to obtain external loss data or employ qualitative factors to estimate those expected credit losses,” the regulators noted. The Senate has confirmed economist Richard Clarida to a four-year term as vice chairman of the Fed, filling the seat left vacant by the resignation of Stanley Fischer. He will serve until January 2022. Clarida, an economics professor at Columbia University and a former PIMCO managing director, served in the Treasury Department under President George W. Bush. Two other Trump nominees, state banking regulator and former Kansas banker Michelle Bowman and economics professor Marvin Goodfriend, have yet to be confirmed, leaving the seven-member panel with just four members. Clarida said in his confirmation hearing that he “absolutely” believed in Fed independence from White House pressure. Small bank holding companies are now defined as institutions with assets up to $3 billion, a change mandated by the May 2018 Economic Growth, Regulatory Relief, and Consumer Protection Act. The Fed published an interim final rule, which became immediately effective on August 30, that increased the threshold from $1 billion. The change will allow more banks to use debt to finance up to 75 percent of the purchase price of an acquisition. Bank lawyers say that small holding companies can also consider using leverage to fund share repurchases so they can provide liquidity to shareholders. 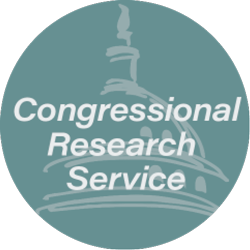 A report from the Congressional Research Service, made public in September, concludes that the proposed community bank leverage ratio would add to the national deficit because it would increase risky bank behavior, leading to more bank failures. The report cites a Congressional Budget Office forecast that 70 percent of community banks would opt in to the ratio, which it predicts regulators would set at 9 percent. (The ratio is a key component of the Economic Growth, Regulatory Relief, and Consumer Protection Act, which calls for a new capital ratio of between 8 and 10 percent). 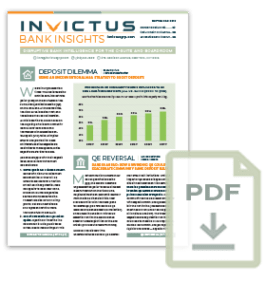 “Without risk weighting, banks may have an incentive to hold riskier assets because the same amount of capital would be required to be held against risky, high-yielding assets and safe, low-yielding assets,” the report noted. CBO estimated the new ratio would raise costs to the Deposit Insurance Fund by $240 million, about half offset by higher insurance premiums over the next decade.